M5 Somerset southbound severe disruption, from J26 for A38 to J27 for A361. M5 Somerset - One lane closed on M5 southbound from J26, A38 (Wellington) to J27, A361 (Tiverton), because of a lorry having a tyre changed. Traffic is coping well. A woman whose body was found on Perranporth beach has been named by police as 22-year-old Anastaszja Plusa. Her body was found at the beach shoreline just before 07:00 on Monday. Ms Plusa, who was originally from Poland and grew up in Holland, moved to the UK a number of years ago and "had lived in Perranporth a number of times", officers said. Police said they were still trying to establish the circumstances surrounding her death, which is currently being treated as unexplained. Her next-of-kin have been informed. They said she was last seen wearing a dark-coloured coat, blue jeans and beige Converse trainers at the town's Texaco garage on Budnic Hill at about 19:45 the night before. Officers have appealed for anyone who may have seen her in and around the town from then to contact them. Wednesday night will remain dry with mostly clear skies. There will be a brisk easterly wind and a milder night than Tuesday night. Minimum temperature: 6 to 9C (43 to 48F). Thursday will be dry and bright with some lengthy spells of warm sunshine. Cooler on coasts exposed to the brisk easterly wind though. Maximum temperature: 16 to 19C (61 to 66F). 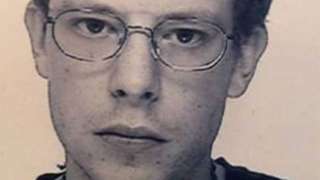 Police are trying locate a missing man from Plymouth. Officers said 29-year-old Colin Bird was last seen at his home in Devonport at about midday on Wednesday and they were appealing to the public to help them locate him. He is described as about 6ft tall, of slim build, with dark brown hair and a beard. He has tattoos on arms. He was last seen wearing grey tracksuit bottoms, a navy blue coat and a grey farmer’s cap. Twenty-four people from Totnes were among 200 people arrested in London as part of climate change protests earlier this week, activists say. Civil disobedience group Extinction Rebellion Totnes said members were "willingly arrested on Monday evening and the early hours of Tuesday morning for blocking Waterloo Bridge in London" before later being released under investigation by police. Children carrying out antisocial behaviour in Bude town centre over the Easter weekend will be moved on under a dispersal notice, police say. Bude Police said on Facebook that there had been increasing antisocial behavour in the town and that officers were planning to target those offenders. Officers said: "Antisocial behaviour affects the whole of our community and will not be tolerated in Bude." A374 Cornwall both ways severe disruption, between A38 and A387. A374 Cornwall - A374 in Trerulefoot closed in both directions between the A38 junction and the A387 junction, because of recovery work. More than 60 objections have been raised to a proposed new Travelodge in Bude. The plans, submitted to Cornwall Council by Travelodge for Landsdown Road, would see the demolition of an existing derelict bus and coach depot and the development of a 70-bed budget hotel, including bar and cafe in a conservation area. Protesters said the hotel would be in a one-way street, have 70 bedrooms but only 30 parking spots, and was out of character with the rest of the town. Travelodge said that, if approved, the hotel would create 24 jobs and "also contribute significantly to the local economy, attracting additional visitors to Bude". A cat and her four kittens have been found abandoned in a cardboard box near St Blazey. The Cat Adoption Centre in Carnon Downs said it was now looking after them and the cats - now all named after mushrooms because they were found in a mushroom box - were doing well if a bit underweight. The four kittens, two males and two females, are called Shitake, Chantarelle, Porcini and King Trumpet. Mummy is now Portobello. Staff said they were looking for a new home for them, but not until June when they are expected to be fully recovered. A 34m big wheel is set to tower above the golden sands of Dawlish Warren this summer. Planners on Tuesday morning gave the go-ahead for a big wheel, which will provide views over the Exe Estuary. The wheel will initially just be for the 2019 summer, so the potential impact on biodiversity and the Exe Estuary Special Area of Protection and the Dawlish Warren Special Area of Conservation (SAC) could be assessed, they were told. Amusement park owner Shaw Wallis told Teignbridge District Council’s planning committee that the wheel would create jobs, revenue for the council, and that they would provide contributions to mitigate any impact on the nature reserve. The nearest wheel to the Teignbridge area is in Exmouth or Torquay. Visitors at Plymouth's National Marine Aquarium can now talk to the divers inside the shark tanks. The aquarium said it's the only one in the UK that allows people to interact with its underwater staff. Children can ask any questions they like about the different kinds of sharks or what it's like working underwater. A man has been arrested on suspicion of murder after an incident in Exeter, police say. Officers said they were called to an address in Beacon Heath at about 04:30 on Wednesday and had cordoned off the property. They have also cordoned off the Pinhoe branch of Spar, less than a mile away. The arrested man is in custody in Torquay. 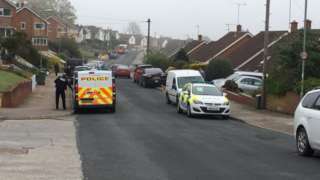 Devon and Cornwall Police said: "There is no wider risk to the public and police are not looking for anybody else in connection with this incident." Residents of what some believe could be the biggest housing estate in Cornwall have issued a call to arms to protect an open space of land from being developed. People living in Swanvale are being urged to write with their objections to plans by developer Wainhomes to build homes on a piece of land currently used for its sales office. A planning application to build two homes on the site was refused permission when it went before Cornwall Council’s central sub-area planning committee last month. But Wainhomes is believed to have submitted an appeal against the decision which will be considered by the planning inspectorate in Bristol. Local councillors and residents claim the land was always intended to be open space and say this was agreed when planning permission was originally granted for the housing development. Falmouth town councillor Roger Bonney says he is 100% certain that there was a condition that it remain as open space and is set to sign a legal document saying that. Wainhomes said: "We have submitted an appeal against the decision to refuse planning. We believe that our proposals set out a positive plan for the creation of two much-needed new homes. "We understand there have been some comments regarding a wish for the area to be open space. However, this land has not been identified as a public open space. "Our existing Swanvale development incorporates all necessary open space to meet set requirements." Ten sheep have been killed by two dogs that attacked the animals in a field in Devon. The attack on the flock of ewes, which left one dog with blood all over its face, lasted for more than one hour at Longdown on Sunday, said police. Officers want to speak to the owner of the dogs - one has been described as a black Collie cross with a smooth coat and a long tail. The other was a white terrier-type dog whose face was covered with blood, said a witnesses. "The dogs would have returned home clearly exhausted and most likely covered in blood from the attack," said police. After months of problems, the company which runs Cornwall's giant energy-from-waste plant at St Dennis says it is hoping to start generating electricity "soon". The £140m plant has failed to produce any electricity for more than 10 months, it was reported in January, because of technical problems. It opened in 2017 and handles 240,000 tonnes of waste a year. 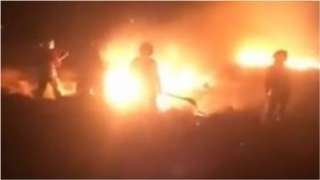 It is still burning rubbish, but technical issues mean no power has been generated since June. Operator Suez said a broken turbine had just been replaced, and it hoped to start producing power within the coming days or weeks.